Australia’s Coral Reef – Can it survive severe bleaching? Aerial surveys of more than 500 coral reefs from Cairns to Papua New Guinea reveal that the most pristine section of the Great Barrier Reef is currently experiencing the worst, mass bleaching event in its history, with the overwhelming majority of reefs being ranked in the most severe bleaching category. 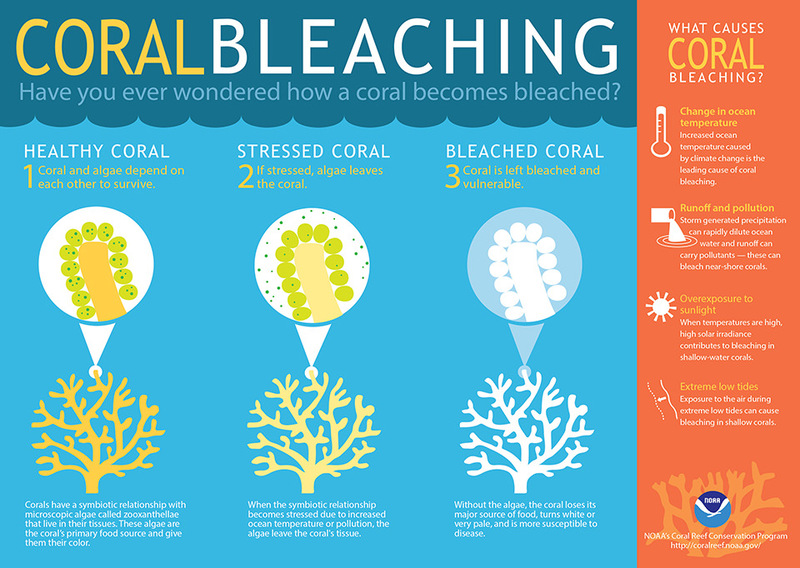 Bleaching is caused by stresses on the coral including changes in temperature, light, or a change in nutrients. The stress causes the choral to expel the colorful algae (zooxanthellae) living inside them.